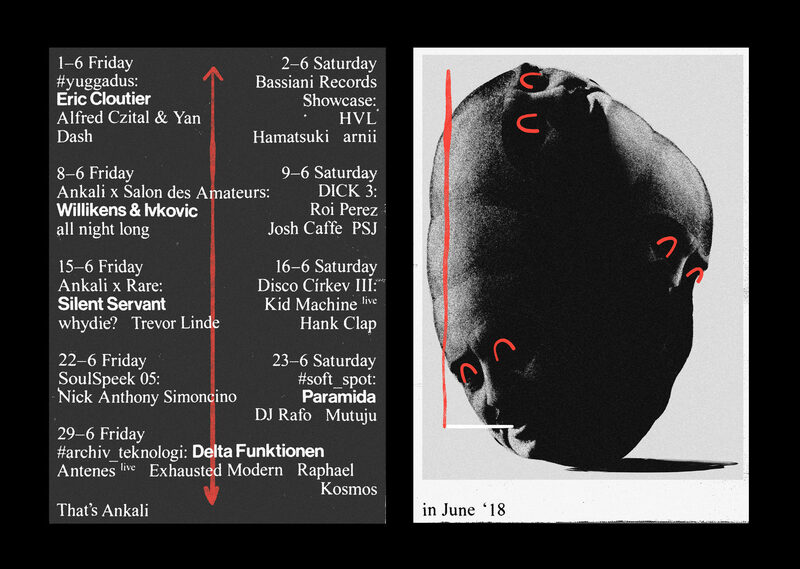 Legendary club BASSIANI residents are coming to Prague. In this BASSIANI Records Showcase we will meet in Ankali to establish an emotional connection between clubbers of East and West. Europe and Caucasus. Prague and Tbilisi. HVL is the project of Gigi Jikia – resident DJ of BASSIANI and HOROOM. Firstly, he was known by Okinawa Lifestyle – musical group, which was established in 2009 and managed to publish 5 releases in short time. His solo career began in 2013, when he released a Deep Survey EP at Rough House Rosie and was a huge success. Soon afterwards, Flats EP was released on the record label – Voyager. In 2013, HVL was awarded as an ELECTRONAUTS VI at the award ceremony of music and innovative pop culture. Two years later, he returned to Rough House Rosie with a new release Lucky Star Of High Minded EP. His last Persona Non Grata EP was released on Linear Movement in 2016. His release on BASSIANI Records – Elegance Within The Chaos managed to gain recognition in a short time. HVL’s music is difficult to place in a certain genre, because it is constantly looking for novelties and is not avoiding experiments. Today, HVL is one of the most productive and successful Georgian artists. arnii (Arnold Atanesyan) is a Georgian DJ and promoter based in Prague since 2013. Founder of LAZY DJ and R&A for purist techno project ONYX. In 2018 he hosted such artists as Khidi residents – Roman and OTHR, GOST ZVUK label artists – OL, low808, L, P, Flaty, regular Berlin STAUB party residents – Irakli and Caleb ESC, legendary DJ PlayStation as well as local DJs and producers. arnii’s sets tend to keep an overall hazy house aesthetic with elements of electro and jungle.